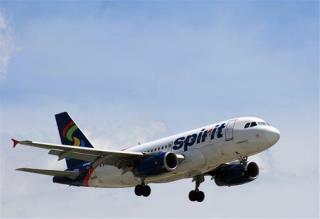 (Newser) – Spirit Airlines may not be flying high after seeing the results of this year's American Customer Satisfaction Index travel report. Although the airline scored 15% higher than it did last year, it still came in dead last, with a score of 62 out of 100, per CNNMoney. The rankings are based on responses from about 7,000 airline, hotel, and travel industry customers, with satisfaction measured in a dozen categories, including staff interactions, in-flight services, and seat comfort, the Washington Post notes. Instead of improving air travel over the years..things just get worse. poor service is synonymous with airlines. AA is far worse since the merger with us air. surprised they weren't on the list. Three things that will be the near-death of the airline industry: bad customer service, the TSA and autonomous cars.